Fall is in full swing and, as such, there are some great fall foods available to enjoy while you can. Since I get a weekly delivery of fresh organic produce, we’re getting a sampling of what’s seasonal in Southern California. I’m experimenting — a lot — to make use of these great fruits and vegetables. Whether you use canned or fresh pumpkin puree, now is the time you’re most likely to find pumpkin in stock, though some regions are still reporting a shortage of canned pumpkin. I stocked up at the end of last season, so we have more than a case of organic puree ready to go. 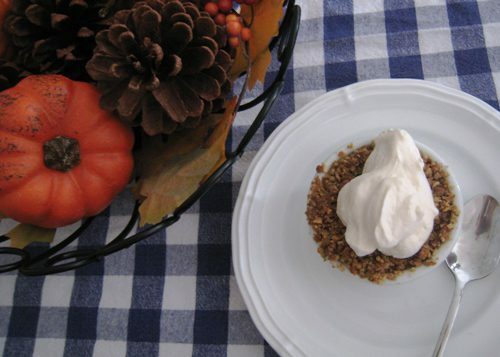 We have enjoyed a wealth of pumpkin recipes so far, including Pumpkin Coffeecake with Pepitas, Pumpkin Scones, Spiced Pumpkin Bread, and Pumpkin Custards. My family loves this best ever Streusel-Topped Pumpkin Pie, so I’ll be baking two — or twelve — of these babies in the coming months. I buy large quantities of apples at one time so that we have plenty to eat fresh as well as to cook with and process for freezing. So far, we’ve enjoyed Slab Apple Pie, Apple Nachos, Crockpot Applesauce and just plain fresh eating. 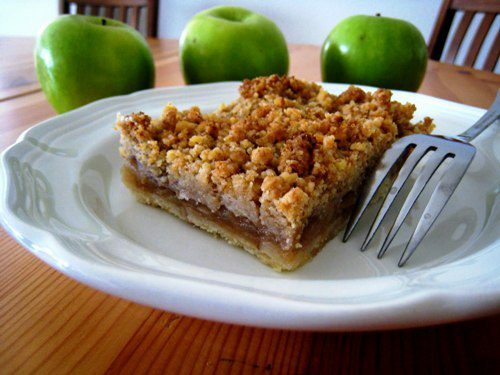 I’m hoping to have a surplus of apples so that we can also enjoy Applesauce Bread, baked apples, and apple crisp. I don’t know about the rest of the world, but greens are in season in these here parts. 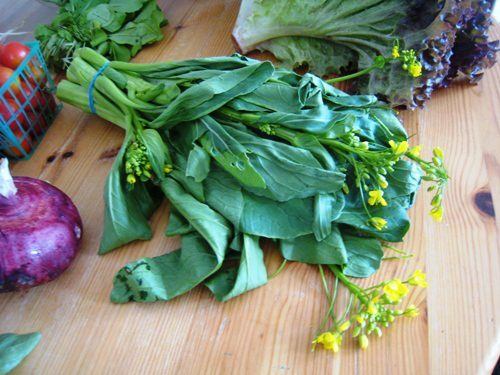 We’ve sauteed sorrel and spinach, bok choy, and yu choy, and I know that a bounty of swiss chard is just around the corner. I’m hoping to bake up some Mushrooms Stuffed with Greens and Bacon as well as continue to serve sauteed greens as a side dish to grilled meats. Recently we got a load of fresh pears. These are great for eating fresh. Remember that pears are picked green so that they ripen after picking. Just buy them green and unbruised and let them ripen at home. We’ll also be baking with them, as in these Baked Pears with Ginger Crumble or maybe trying my hand at this Pear Butter. How do YOU make the most of fall produce?